Doug Upstone of Sports-Watch.com joins us to talk about this week’s Golden 5 picks. Erik Frenz AFC East featured writer for the Bleacher Report joins us to preview the Bills vs Browns. 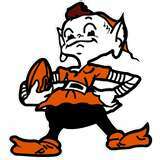 Tim Bielik, Buckeye and Browns beat writer for the Loraine Morning Journal joins us to talk about next week’s games. Oren Shiri Exec. Editor nfldrins.net joins us to talk about the NFL games week 2. Brent Sobleski of ESPN and Draftinsider.net joins us to talk about the top games this weekend. Glenn Geiger Pres. Browns Backers Columbus joins us to talk Browns. The Browns fans finally have hope for a brighter future for the team. Ken Becks of 1stdownscouting joins us to preview the Browns Bengals game. Tony Williams Giants beat writer for Metro New York Paper joins us to talk about week 1 of the NFL season. Doug Upstone of Sports-Watch.com joins us to help me pick my golden 5 for this week. Tim Bielik, Browns beat writer for the Loraine Morning Journal joins us to talk about the Browns chances against the Bengals and the Buckeyes game against Cal. Samantha Bunten joins us to talk Browns and ignore the Tribe.